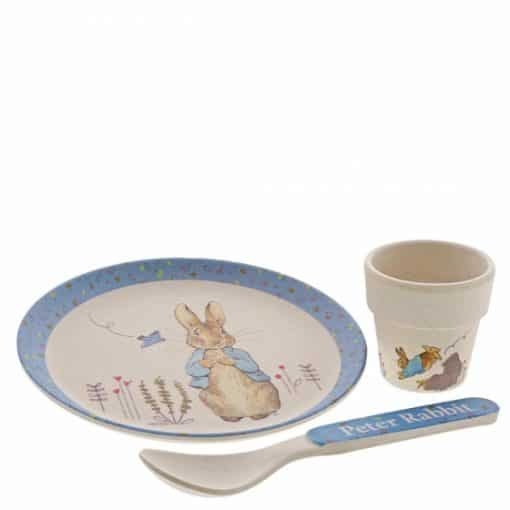 Get ready for breakfast with this delightful and utterly adorable Peter Rabbit Egg Cup Bamboo Dinner set. This set consist of an egg cup, a plate and spoon. 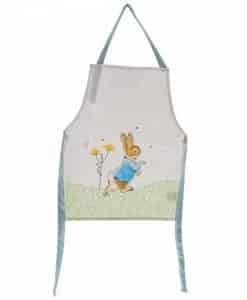 – The perfect combination for your little one to enjoy their dippy eggs on a morning. 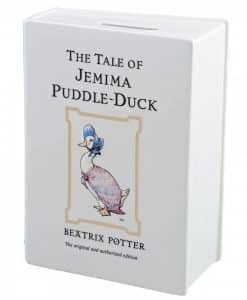 It makes a lovely gift for newborns and birthdays as well as a perfect christening gift. Presented in our branded kraft packaging. 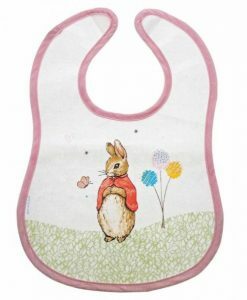 This item has been made using bamboo fibre and is eco-friendly. Packaging: This product is supplied in a printed kraft box.